Get a free estimate, speak with a specialist or request service from Economy Glass! Broken window? We can fix it! Need a new aluminum storefront for your business? We’ve got you covered there, too! Windows, doors, screens, custom showers, mirrors, aluminum storefronts — we repair and install them all. Economy Glass offers best in glass service to homeowners and businesses throughout the Atlantic provinces. And, all it takes is one call; if you are in need of service, installation or an emergency repair, simply call Economy Glass! Since 1973, the professional glass installers and repair specialists at Economy Glass have been serving your glass needs. We have four strategically placed shops to deliver speedy service throughout the Atlantic provinces. So if you need a glass repair in St. John’s or a screen door fix in Fredericton, great service is only just a phone call away! Our competitors mostly use generic stock sizes. At Economy Glass, we know no two homes are exactly alike. That is why all glass and mirror work is customized to suit your exact needs. We make every detail count. More than a glass company, Economy Glass installs aluminum curtain wall products and storefronts to businesses throughout the Atlantic provinces. If you’re looking for a sleek, professional presentation, call and discuss your design ideas with our team! We custom fabricate mirror, tabletop and miscellaneous glass pieces. Give your bathroom a whole new look with the addition of a glass shower enclosure. Make a great first impression. 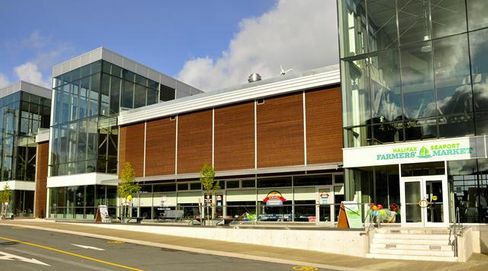 We offer aluminum storefront and curtain wall installations to businesses in the Atlantic provinces. Whether upgrading your windows to a more energy efficient model, or simply repairing a broken pane or screen door, we can help! Reduce solar gain and your energy bills by finding the perfect insulated glass windows for your home or business. Did you know you can buy products directly from Economy Glass simply by stopping by one of our shops? That’s not all; you can also bring your broken glass or mirror piece to any one of four Economy Glass locations in Moncton, Fredericton, Halifax or St. John’s. We also have showroom space in each of our four locations. We look forward to seeing you!